What in the hell are these clowns thinking. Isn’t it enough that man is killing 100 million sharks as it is? I have been boycotting Japanese products for over 46 years because of whaling, and now this? What a shame. Don’t by Japanese period. What in the hell are these company’s thinking. Is it not enough that humans are killing a 100 million sharks a year and thes clowns are condoning even more killings. I am glad I stopped buying Japanese products over 46 years ago because of their killing of whales. 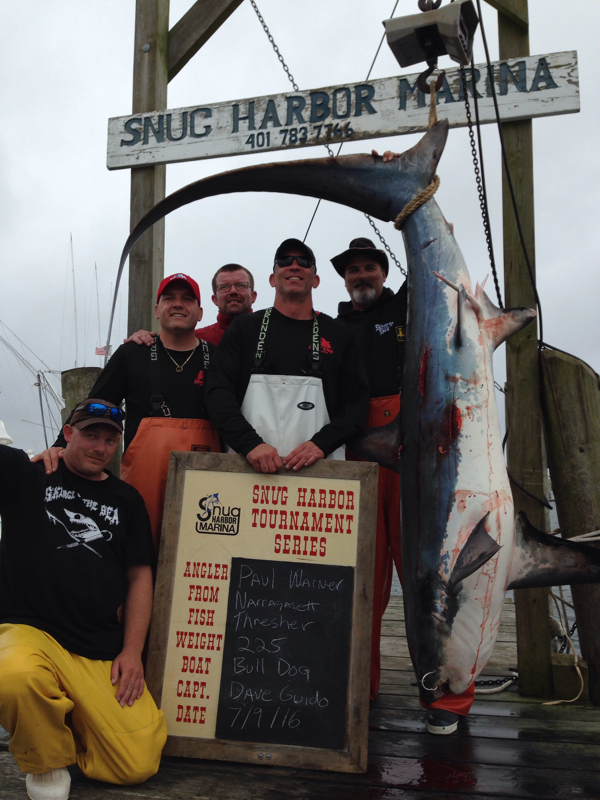 Shark hunting and Shark Finning! What’s the matter with human beings? It really defies belief Sandy. It’s a scandal that we can kill endangered animals. It’s a scandal to kill anything just for the ‘fun’ of it. Different to kill an animal because we NEED to eat. But this is about as far from survival as we can get. We don’t need to food and they are no threat to us. In fact, we are threatening species with extinction, and the ocean ecosystem as well for our ‘pleasure’ and financial gain. It is a disgrace. Far from being seen as icons, these people, and those who support them (companies, organisers) should be seen as pariahs. That what they are, pariahs. We need people like you Lewis to stand up for endangered animals . Sick of seeing pictures of dead endangered species because of ‘sport’ or ‘tradition’. Keep up the awesome work, Lewis! You’re doing great work, Lewis, thanks for the inspiration. This so-called ‘sport’ is particularly short-sighted and so, so damaging. The fishing tackle manufacturers, the boat and boat engine companies, the tour companies that promote hunting trips should all be alerted to the fact that their involvement is unacceptable on every level. Killing for fun is bad enough. Driving a threatened species toward extinction is obscene. 100 million sharks are killed each year.If we do not stop killing all sharks as well as the Largest and most endangered pelaigic Sharks that these tournaments target.There will be no healthy ocean spots for people to cherish in the future and fundamentally the whole human race will perish. Make sense to sponsor these tournaments? Thank you Lewis for reaching the necks of Toyota. I dont know if toyota us Japenese or Chinese but clearly they have netted so many sharks and other species to the point that their children still can swallow their fathers ‘shark fin soup’. Enough is enough because even though sharks are not human, they do deserve, “Sharks lives Matter”. 😀 the parent was truly surprised, but several other swimmers backed the kids up. Amazing to see the message finally getting through- left me with a smile on my face for the rest of the day. Keep at it Lewis- the tide is turning!!! Bravo Lewis Pugh por luchar en pro del equilibrio natural en los mares, defendiendo a esas criaturas increíbles. Well done Lewis. Now we need the same action on those who are pouching our marine resources. How long before we have no Perlemoen left? Fantastic result! The world needs more people like you! 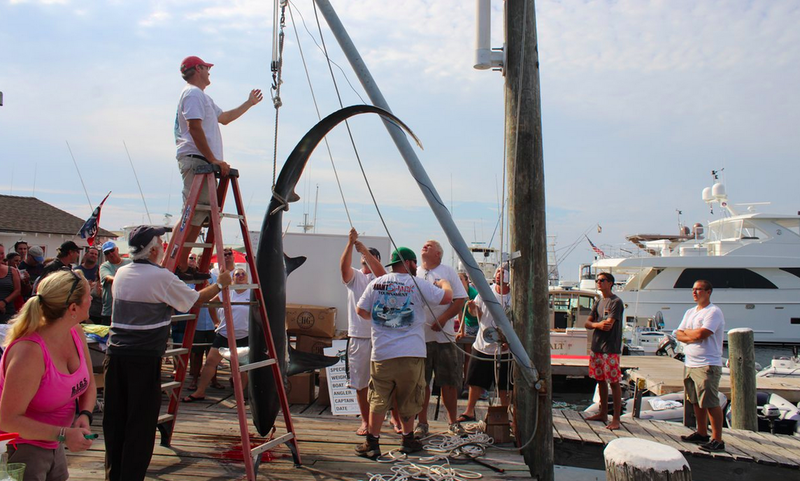 It boggles my mind that companies are still sponsoring shark hunting. Last month, a major automobile company in the US offered a new luxury pickup truck to the person who could catch a record-sized shark in the North Atlantic Monster Shark Tournament. All three sharks targeted in the competition – the mako, the thresher, and the porbeagle – are listed as Vulnerable to extinction according to the IUCN Red List, with some populations being classified as Critically Endangered. As soon as I heard about it, I wrote to the CEO of Toyota in America. Nothing disgusts me more than the idea killing a threatened species, but my letter had to be measured and balanced. I stuck to the facts, and ended with a promise: if they didn’t do something about this, and quickly, I would bring to bear every bit of influence I had to stop it going ahead. Within four hours Toyota had pulled out of the competition. The company was massively praised on social media for doing the right thing. The point is, as soon as they found out about it, the company moved swiftly to stop it. The information age has brought us many things – e-mails, Facebook, Twitter and much more. You can now contact a company’s CEO and tell them what you think, directly and instantly. The pendulum has swung in favour of those who want to create change. We interact with branded goods and services every single day. In many ways we have a closer relationship with companies than we do with those who represent us in our local or national governments. And in the same way that we make our wishes known to governments, we can use our voices and our purchasing power to hold companies to account. They’re much quicker to respond than governments, too. Persuading governments to change can be maddeningly slow – just look at the recent COP21 Paris Climate Change Agreement. It took 21 years for the nations of the world to agree to a deal. Compare that to the four hours it took Toyota to shift gears and fix the problem. Agreed, they were very different issues. But you get the point. Many thousands of sharks will be grateful for Toyota’s action. Over 100 million sharks are slaughtered in our seas each year. Mull over that figure for a moment. That’s more than 270,000 per day. It’s completely unsustainable and, left unchecked, will result in the collapse of our oceans. Amazingly, the misguided Toyota competition was not an isolated incident. Corporate sponsored shark hunts are still going on alarming rate – today I received word from The Guardian that 37 large and multinational companies are still sponsoring shark hunting events, many of them on the US east coast. As soon as I receive confirmation of the details, I’ll be contacting their CEOs to let them know that we’re on their tracks. And I can assure you that I will be on their backs. So my message to those countries that still permit these competitions is: stop them. You would not allow tiger-shooting contests. What is the difference? And my message to fisherman who kill these threatened species is: the tide has turned. Don’t pretend you are involved in some sort of sport. You are not. You’re simply destroying your children’s future. And my clear message to the media is: stop glorifying these kinds of events. Stop demonizing sharks through twisted words and images. The words ‘monster’ and ‘shark’ should never be used in the same sentence – it’s taken us years to get over the damage Jaws did to the shark’s reputation, and clearly we still have a long way to go. Last but not least, my message to you is: we mustn’t be frightened of big companies. In fact, the bigger they are, the bigger the reputation they have to protect. Change through business is the quickest change we can bring about. And the power to make those changes rests with all of us.